In Viva Mortis you control a poor overworked minion of Mr De’Ath, who must search high and low for five missing runes before the time runs out. The game world is made up of isometric Head Over Heels-esque single screen rooms, often containing enemies, bonuses or piñatas. You can attack and kill most enemies, but brooms are invulnerable to your attacks. If you whack a piñata then you’ll become invincible for a while and kill anything you come into contact with (including brooms). 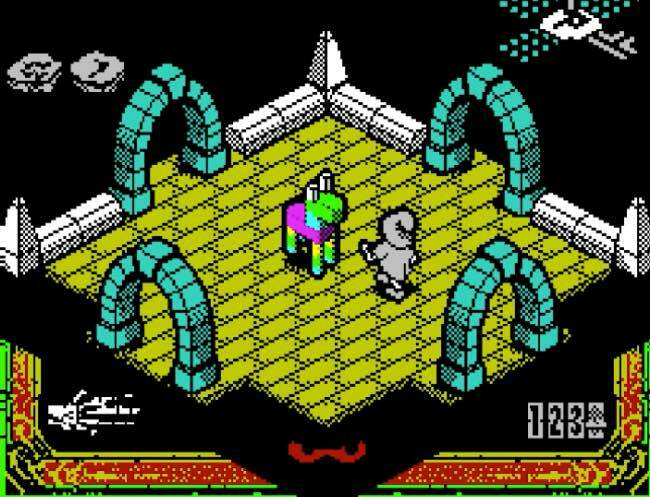 The gameplay in Viva Mortis is fairly simple, but it’s a great callback to the glory days of ZX Spectrum gaming. It manages to pack a surprising amount of visual flair into the retro isometric visuals and the gameplay is very fast paced. It’s a great little retro adventure, plus you don’t have to wait five minutes for a tape to load!